 If you do nothing during your visit to https://www.townofstella.com but browse or download information, we automatically collect and store the following information about your visit. The information we automatically collect or store is used to improve the content of our web services and to help us understand how people are using our services. https://www.townofstella.com analyzes our web site logs to continually improve the value of the materials available on our site. Our web site logs are not personally identifiable, and we make no attempt to link them with the individuals that browse https://www.townofstella.com. We use your email to respond appropriately. This may be to respond to you, to address issues you identify, to further improve our website, or to forward the email to another agency for appropriate action. Survey information is used for the purpose designated.